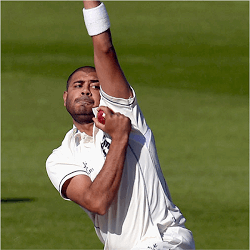 In the last three months, New Zealand cricketer Jeetan Patel has received two invites to join the Black Caps in a series of ODI matches. This is including recent matches against the visiting Bangladesh. As a local cricket star for Wellington and the English county team of Warwickshire, Patel was both surprised and honoured when he got the call. He received his second call up to join the Black Caps when they face Bangladesh in the last of their ODI test matches on New Year’s Day. This is after he played two of the final games that New Zealand played against India in October. Patel’s right arm off spin bowling was seen as a way to offset the strong opening batsmen of Bangladesh whop are mostly left handed. The tactic was definitely a success after New Zealand’s performance. Mike Hesson, the celebrated New Zealand coach stated that the combination of the Saxton cricket ground’s unique surface, and the majority of left hand batsmen for Bangladesh, made Patel the prefect choice to come aboard. Patel wilfully chose to remove himself from international cricket and chose to focus on county cricket instead. He declined to join the New Zealand tour of the West Indies in 2014 to focus on English County cricket at Warwickshire. His hard work for Warwickshire has twice earned him the Professional Cricketers Association Most Valuable Player award. He finished his 2014 season with 185 wickets taken. He had a crushing 27.12 average against his bowing making him one of the top cricketers in the county division. 2015 saw similar success for the cricketer. Patel took more than 50 wickets with an average of 25.27. Patel’s first stint with the Black Caps was in 2016 when he substituted for Mike Craig who was injured at the time. He displayed much better skill as a batsman and so his appearances with New Zealand started increasing. Jeetal’s parents are from India but he grew up in Wellington in New Zealand. The off spinner had a great amateur career and he was soon to be a regular contributor to the New Zealand side after his potential was spotted by the national coach at the time, John Bracewell. He is yet to receive a permanent placement with the squad however. Currently his off spin bowling and talented batting skills make him an invaluable weapon in various matchups.